New Delhi, Oct 31 (IANS) Bharti Airtel’s consolidated net profit plunged 76.5 per cent for the second quarter (July-September) of 2017-18, a company statement said on Tuesday. The company posted a net profit of Rs 343 crore for the second quarter of 2017-18, down from Rs 1,461 crore posted during the corresponding period in 2016-17. “The financial stress in the industry continues due to double digit revenue decline and will be further accentuated by the reduction in IUC (inter-connection usage charges) rates in the next quarter. This will eventually force operator consolidation and exits as we have witnessed in the recent past,” said Gopal Vittal, MD and CEO, India & South Asia. “Airtel remains committed to its goal of increasing revenue market share in this competitive environment by providing superior customer experience and strategically investing behind building more data capacities,” he added. India revenues for the second quarter at Rs 16,728 crore have declined by 13 per cent year-on-year primarily led by mobile drop of 16.8 per cent year-on-year, the statement said. “Mobile market continues to experience value erosion and financial stress led by competitive pressures. Mobile data traffic has grown fourfold to 784 billion MBs in the quarter as compared to 178 billion MBs in the corresponding quarter last year,” the statement said. The company’s mobile broadband customers increased by 33.6 per cent to 55.2 million from 41.3 million in the corresponding quarter last year. “Airtel Africa underlying revenues grew by 2.8 per cent year-on-year with net revenues growing 6.3 per cent on the back of increase in data penetration. Data traffic grew by 83.8 per cent year-on-year. 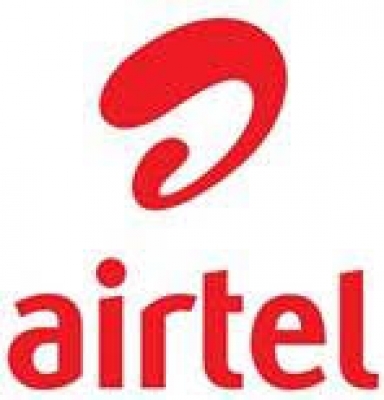 Airtel Money continues to lead with transaction values growing over 30 per cent year-on-year,” said Raghunath Mandava, MD and CEO, Africa.